Superdry men's Active featherweight jacket. The perfect throw on and go jacket, the Active featherweight jacket features a bungee cord adjustable hood, zip fastening and two zipped front pockets. The jacket also features elasticated cuffs with thumbholes and a further zipped pocket on the reverse. 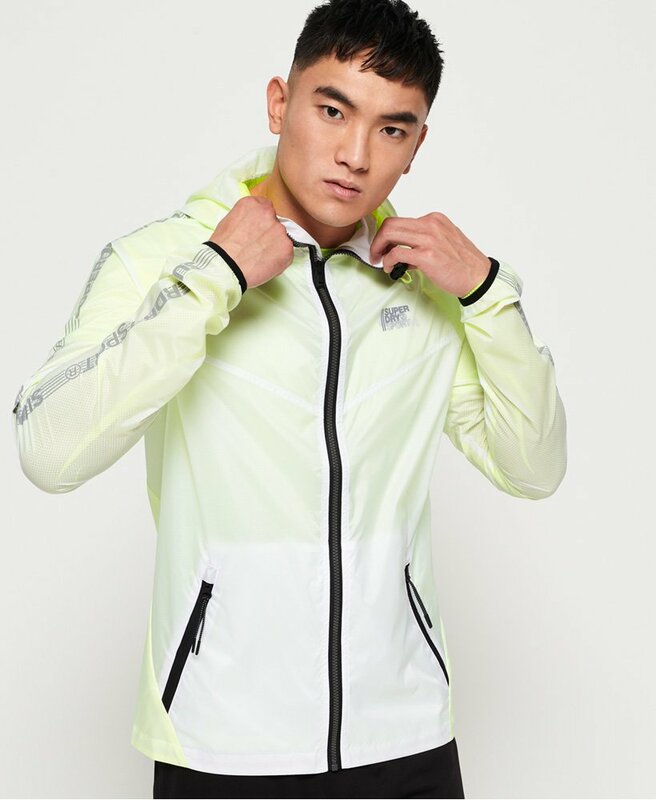 The Active featherweight jacket is completed with reflective Superdry Sport logo detailing down the sleeves.